Ever wonder what to do with all of those fabric scraps you’re “saving” for a special project? 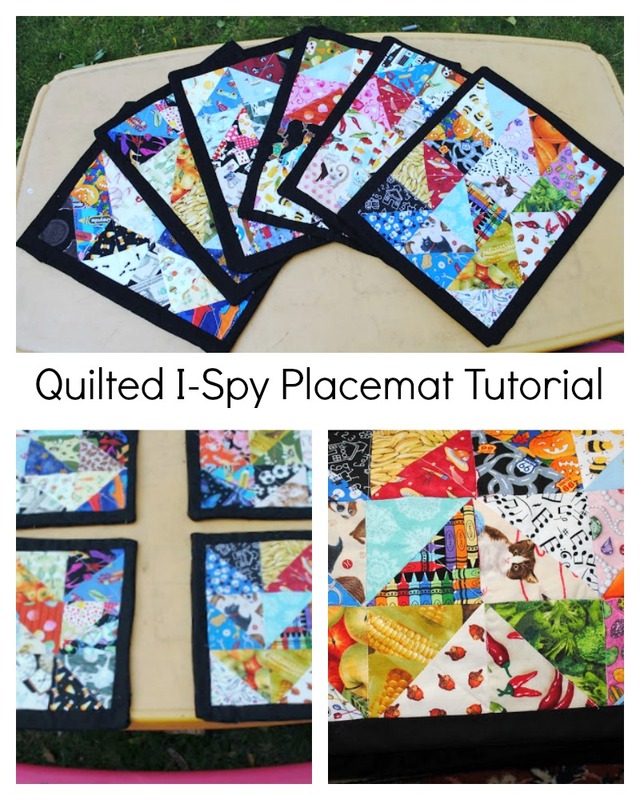 Sew up your novelty, fabric scraps to make a set of quilted I-spy place mats. These fun, quilted mats will keep the kids busy while you make the finishing touches on lunch or dinner. Head over to Boy, Oh Boy, Oh Boy Crafts for the tutorial! what a great idea this is. I love quilting and know my grandchildren would love thIs!